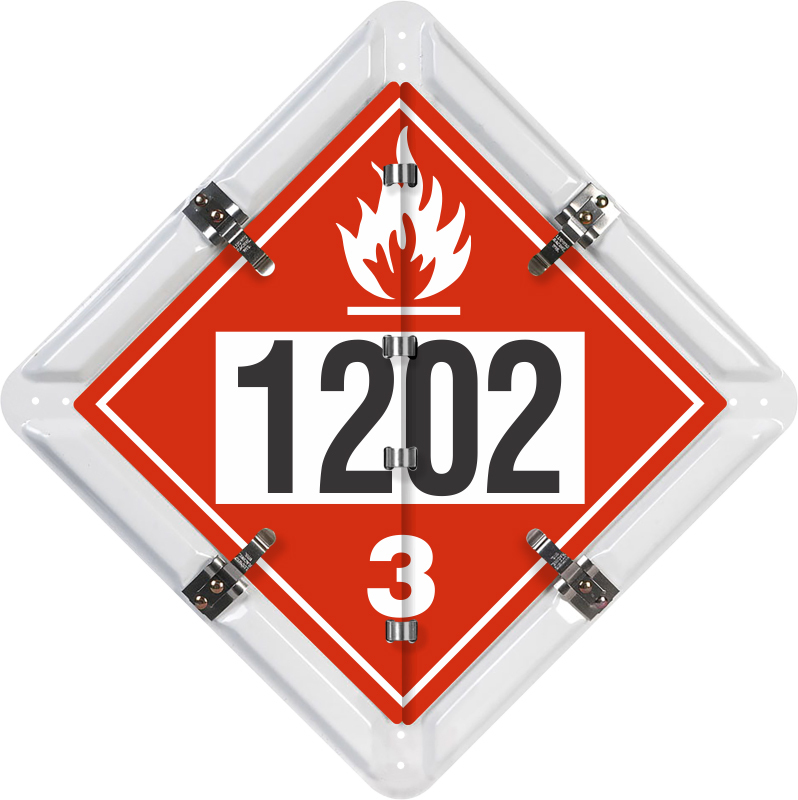 White Flip-n-Lock™ placard set is used by transporters of fuel oil and gas. • Base panel backing plate has a baked-on polyester finish – to match your vehicle. • Panel is printed onto a 32 mil aluminum. This is 33% thicker than the competition. • Flip-n-Lock™ placard sets meet Canadian specifications.